If you would like to come and work with us, please get in contact. We are a small family run boutique business and have only a tiny workforce, but we are always on the look out for good people and would be delighted to hear from you. We may be able to provide a part time, full time or short term role depending on your level of experience and interests. 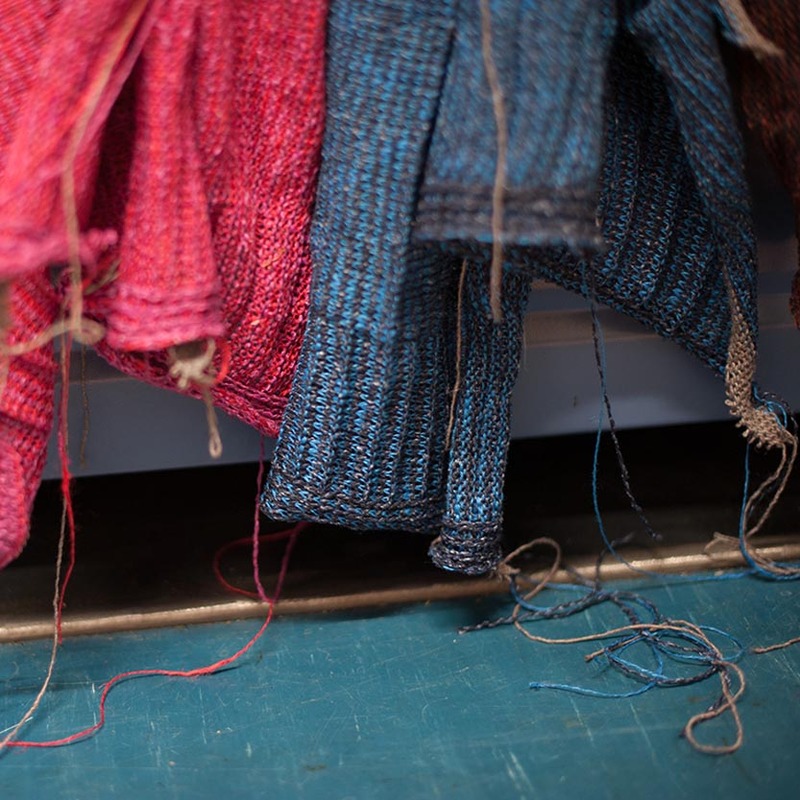 We have internship positions available, paid and unpaid and regularly work with knitwear students during their studies to provide them with access to our facilities and experience. Why not get in touch. 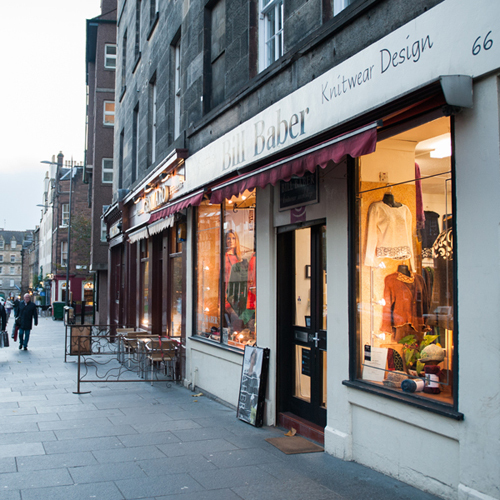 We have a busy retail shop in the Grassmarket and are open 7 days a week. If you like people, enjoy shopping and think you can help other people to shop, then retail may be the place for you. 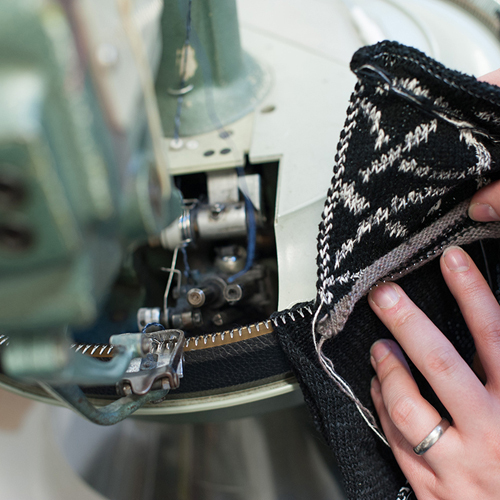 Using a linking or binding machine, we assemble knitwear pieces into finished garments. If you have experience, then great, if not we may be able to train you. Work from home on your own machine and pick your own schedule or work with us in the Workshop or Factory. We design & knit everything we sell in our Workshop or in the Factory. Its very technical work, requires patience and creativity.